Heroic diplomat and greatest explorer of the 22nd century. Captained Enterprise in the 2150s. Saved Earth from the Xindi. Friend of Charles Tucker III. 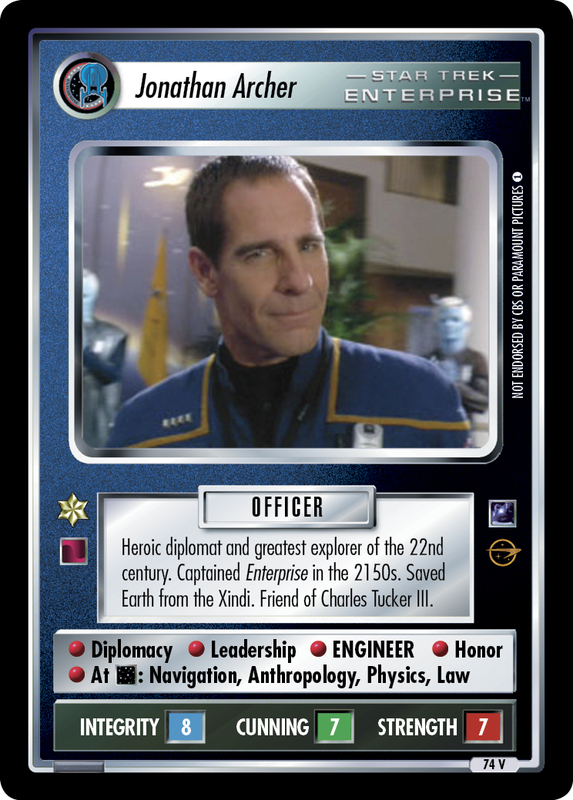 Characteristics: affilition, 22nd Century , Captain, Human species, matching commander, romantic partner. Card logging info: First edited by Telak at Apr 1st, 2017. Please support openCards and validate game text of this card!